The animated hit Frozen was a blockbuster in theaters, and that translates into views for anything Disney princess-related online. 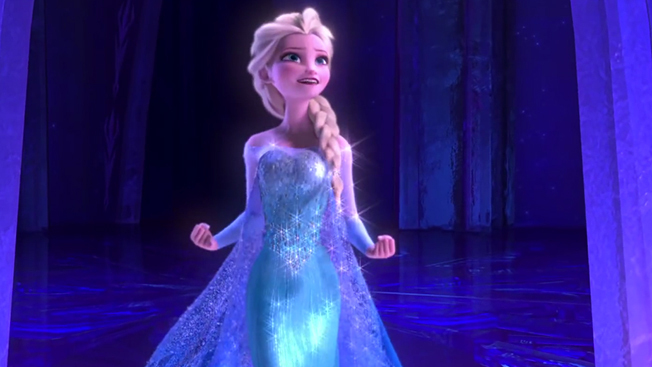 Two Frozen-themed videos were at the top of last week’s digital video charts, according to VidIQ’s numbers. The No. 1 online video, with 3.8 million views, featured a slew of real-life Disney princesses singing Frozen songs. The No. 2 video also featured Frozen. It wasn’t until No. 3 that a viral Flappy Bird video made its entrance. Last week, 2.1 million people saw elderly people frustrated by the mobile game, which is hard to play—especially if you were born around the time TV was invented. Note: Adweek’s VideoWatch Chart, powered by VidIQ, reveals the top 10 Web series videos on YouTube every week. The chart tracks more than just pure views; VidIQ incorporates sharing data from Facebook, Twitter and YouTube, among other data sources, in an effort to measure true engagement. Every video is also ranked with VidIQ's proprietary score, which helps judge the likelihood of a video being promoted in YouTube Related Videos, Search and Recommended Videos. The ranking is also meant to capture "born-on-the-Web" YouTube content. Thus, material like clips from TV shows, movie trailers, video games and music videos are not included.